Home Uncategorized The Most Powerful Storm of the Season Is About to Hit L.A. The Most Powerful Storm of the Season Is About to Hit L.A.
At this point, we’re starting to feel sorry for the drought. Like, everything was status quo, and then BAM out of nowhere the weather goes all Ryan-Gosling-in-that-elevator-scene-from-Drive and the drought is reduced to a pathetic shadow of what it once was. Which, don’t get us wrong, is great news for everyone. More rain is headed to Los Angeles Thursday night, and it will last through Friday and into Saturday. 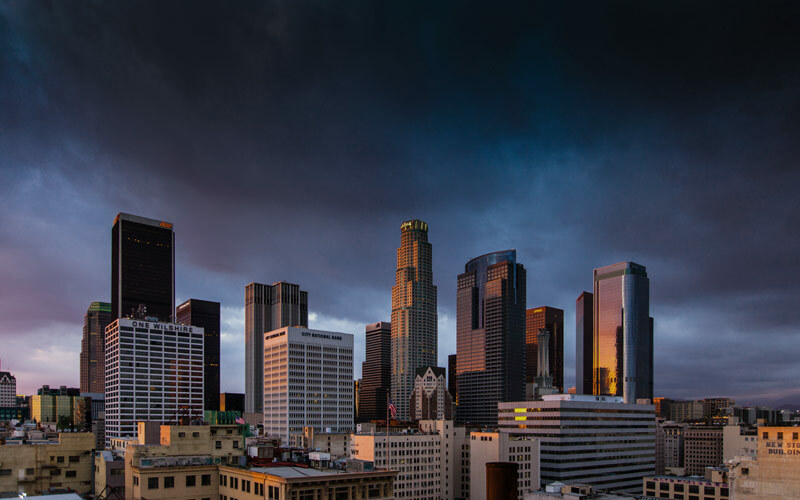 Forecasters are saying it will be the strongest storm yet this season, at times dumping more than an inch of rain per hour, according to the Los Angeles Times. They’re predicting two to four inches of rainfall around downtown and potentially more than eight inches in the hills. Strong winds will likely accompany the downpour, and you can absolutely expect flooding, mudslides, and downed trees. The rain will be most intense on Friday, with a 12-hour-long marathon of uninterrupted rainfall, according to Curbed. Whether this will deal the death blow to California’s drought restrictions (yes, they’re still in place) remains to be seen.